With cats, the nose knows. Cats recognize their friends, familiar territory and food they consider safe to eat by scent as much as by sight. There are smells most cats love (catnip) and scents cats hate (some herbs). Your cat’s nose knows when he comes across a stranger, starts to eat something he shouldn’t or ventures into territory where he’s not welcome. Scents cats hate can be used as a training tool to keep them away from your garden or even off the furniture and kitchen counters. But what repels one cat may go completely unnoticed by another. My beautiful orange PK hated the smell of lavender. But the rest of his cat family didn’t even notice it and would wander through the neighbor’s flowerbed undeterred. If you’re going to use scents cats hate as a training tool, you’ll need to be patient and willing to experiment. What smells make a cat wrinkle its nose in disgust? It depends on the cat, of course, but these are scents cats hate, or at least most cats hate them. Rue repels some cats, but it’s toxic to humans if ingested and can cause skin irritation if touched. Mothballs and mothball flakes: The fumes from mothballs are toxic to cats and other animals. And when used outside, they contaminate the soil and groundwater. Never use mothballs or mothball flakes to repel cats or other animals. Cayenne pepper can burn the cat’s mouth and eyes if he gets it on his paws and then washes his face. Scented candles and carpet and air fresheners can trigger asthma attacks and even seizures in cats, and the essential oils in some can irritate your cat’s mouth, throat and gastrointestinal tract if ingested while grooming. Some essential oils can be lethal to cats. Health risks aside, imagine how annoying that perfume must be to cats, whose sense of smell is much more acute than ours. 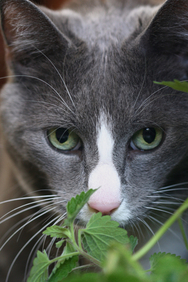 Try these tips for using scents cats hate to keep them out of your garden and flowerbeds. Coleus canina: The National Gardening Association suggests making a hedge of coleus canina plants spaced about three feet apart around flowerbeds, sandboxes and other areas where cats are unwelcome. 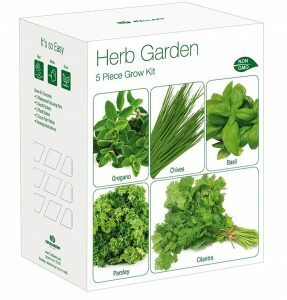 Plants And herbs: Intersperse lavender, geranium, absinthe, lemon-thyme, citronella, rosemary or garlic chives among the other plants in your garden or use them as a border around flowerbeds. Citrus and banana peel and used coffee grounds: Scatter citrus or banana peel or used coffee grounds in the areas where you want to repel cats. They’ll need to be refreshed almost every day. Tip: Instead of repelling your cats, make them feel welcome by giving them their own garden. Choose a sunny spot and plant catnip, cat mint and valerian. Leave some bare soil for them to roll around in, and add a bench for napping. They’ll be happy cats and leave your garden alone. Grow your own scents cats hate. Try these scents cats hate to keep them off counters and furniture. – Crush lavender, geranium, absinthe, lemon-thyme, citronella, rosemary or garlic chive leaves, put them in a saucer, and place the saucer on a counter or other places that are off limits for cats. You’ll have to refresh them every couple of days. – Lavender potpourri also repels some cats. Just make sure it doesn’t contain other essential oils that are toxic to cats. Spray lemon juice on counters or other places where cats are unwelcome. While using scents cats hate can be an effective way of training your cat, I find electronic deterrents are a lot more efficient and much less labor intensive. For outside, pet supply stores sell electronic deterrents that emit a high-pitched sound that only cats can hear or spray a stream of water on four-legged trespassers. Inside, ScatMats create a slight tingling sensation when stepped on. Cats don’t like the feeling and stay away. All are designed for companion animals and won’t harm your cat.